With the recent event of the death of Osama Bin Laden, I thought it would be appropriate to post a photo of the American Flags. The American flag has stood high and waved high throughout trying times and good times. 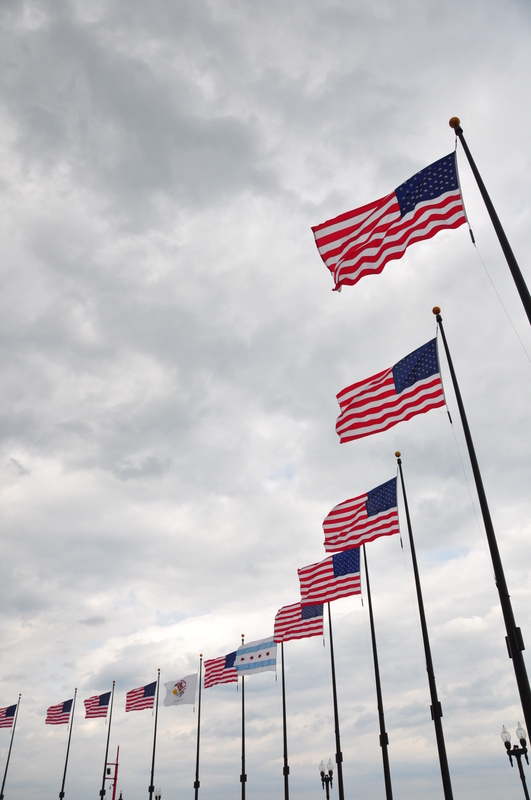 These are the flags that wave out at the end of Navy Pier. Take the time today, not to celebrate in the death of Bin Laden, but to honor those who have fallen during 9/11 and those who rose to the occasion and united as heros to help.